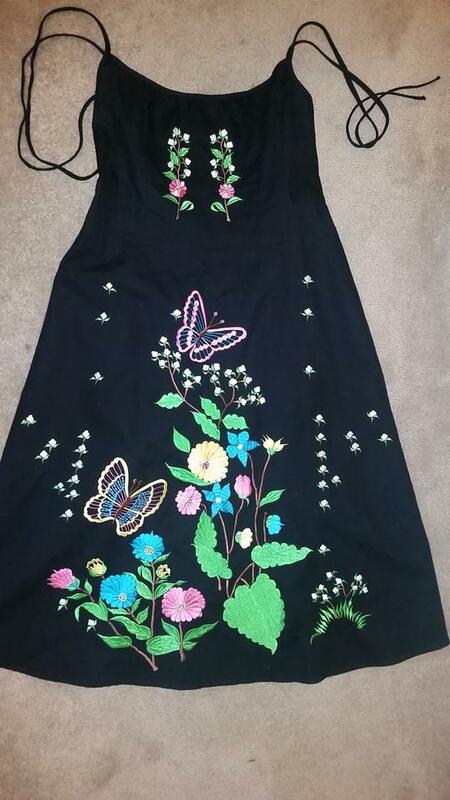 New preowned dress worn for photo shoot only. 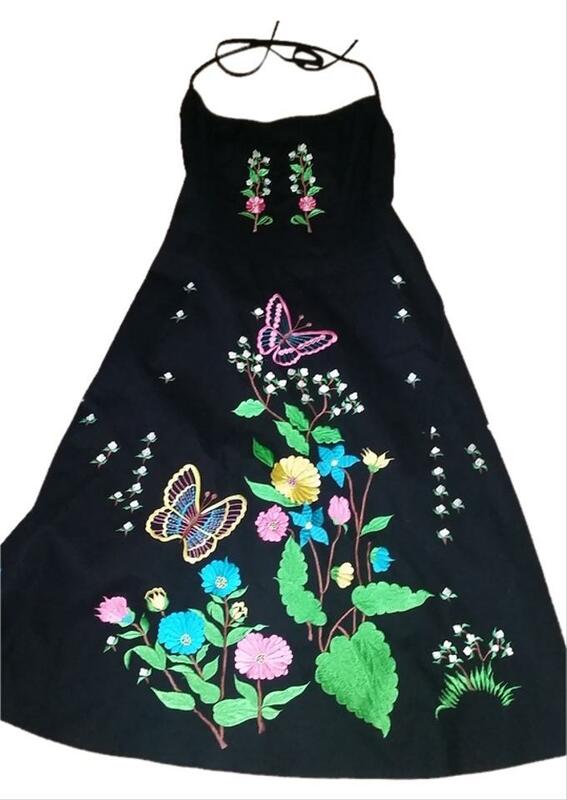 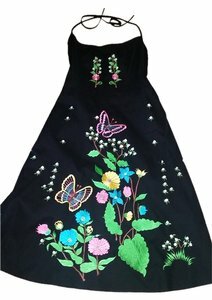 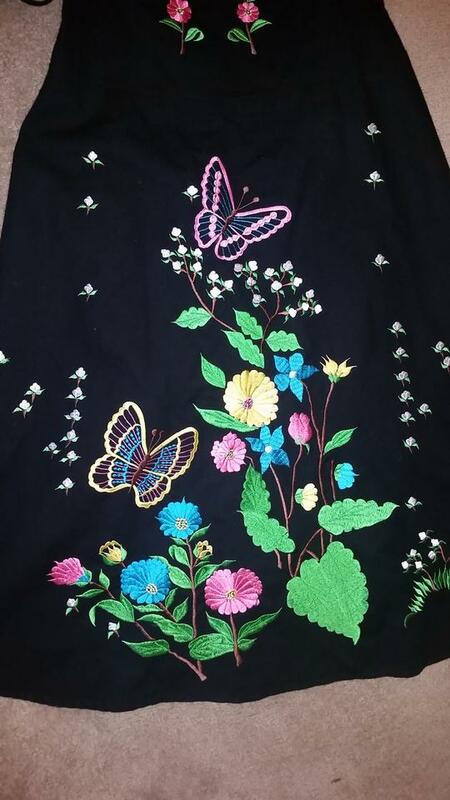 Has fabulous embroidered detailing on A line dress. 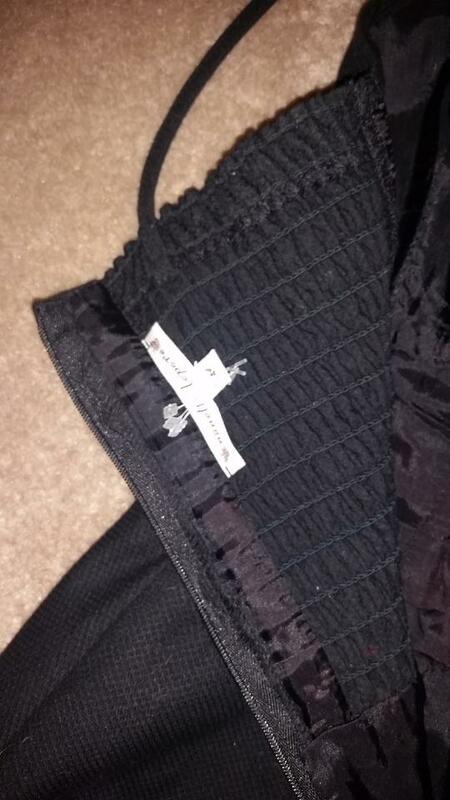 Has elasticized stretch back area. 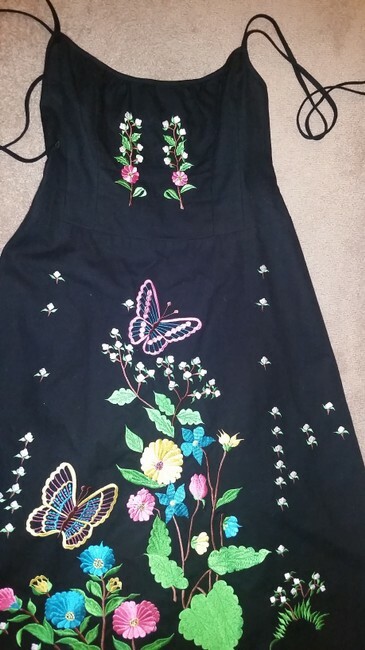 Detailing is everything on this dress.